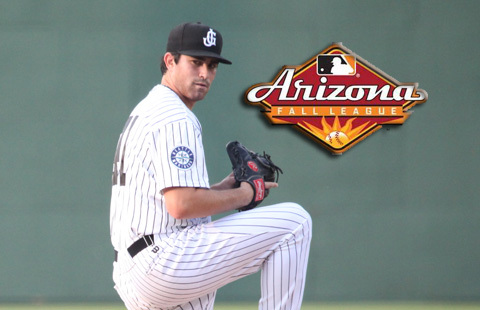 The Arizona Fall League is off and running and it didn’t take long for Peoria Javelinas manager Jim Pankovits to turn to the last addition to the roster, Kyle Hunter. The Javelinas dropped the opener to Surprise 7-6 after a comeback fell short at Surprise Stadium. Hunter was magnificent in his AFL debut tossing two scoreless innings in the fourth and fifth, allowing just one hit and striking out three. Hunter threw 28 pitches and 21 of which were strikes. Stefen Romero batted third and played left field for the Javelinas finishing 1-for-3 with two runs scored, while 2012 Mariners fourth round draft choice Patrick Kivlehan was the DH and was 1-for-4. Peoria plays again today at 12:35 MST against Scottsdale. Expect to see relievers Carson Smith and Dominic Leone to see action today. 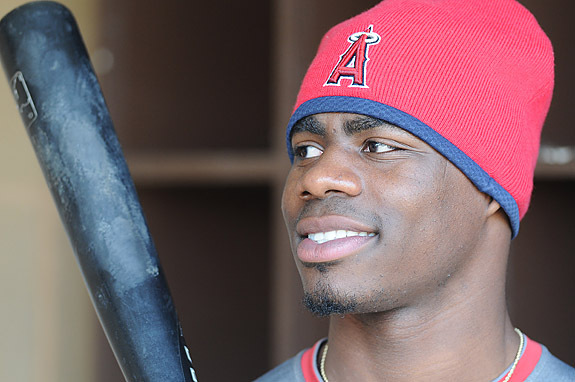 The Mariners were active yesterday in claiming outfielder Travis Witherspoon off waivers from the LA Angels. Not hardly the splash addition Mariners fans would like, but a low risk, high reward type of a signing. The Mariners designated journeyman catcher Henry Blanco for assignment to make room on the 40-man roster. “The 24-year-old was once thought to be a high upside prospect for the Halos but health issues last season and poor production this season have hurt his stock. Witherspoon isn’t too far removed from a time where he drew comparisons to Padres outfielder Cameron Maybin,” notes Alden Gonzalez of MLB.com on Witherspoon. You like the fact that he stole 30 bases last year and played in 129 games for AA Arkansas, but in 183 AA games has posted a .210 AVG with 17 HR’s, 59 RBIs and 39 SB’s. Baseball America continued their release of the top-20 prospects from 2013 in each respective league. Tuesday was the Southern League’s turn and the depth of talent was evident when the No. 1 guy was one Yasiel Puig. Taijuan Walker was listed as No. 4 on the list while Brad Miller was No. 13 and Julio Morban was No. 17. Morban is really the only “prospect” of the three, but getting mentioned on that list of 20 players is impressive. It shows the respect Morban has earned despite the injury plagued seasons. I was a bit skeptical at first when I heard that we were doing a haunted ballpark. Some can be kind of cheesy. But, after going through a part of the tour that takes you through the clubhouse my mind was changed. There was nothing even set up to scare me and it was freaky. This will be good. 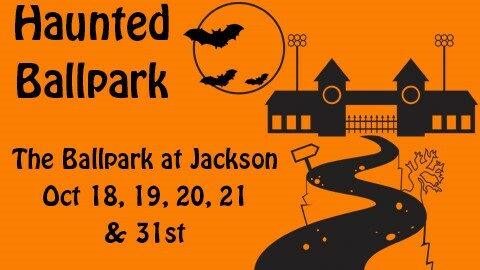 Make plans if are in the West Tennessee area to visit the ballpark if haunted places are your thing. It all starts Friday and Saturday, October 18th and 19th and 25th and 26th. Then again on Halloween night.